Home / Celebrity / Clement Maosa / Pic! Did Clement Maosa Just Pull An Emtee? Pic! Did Clement Maosa Just Pull An Emtee? Pic! Did Clement Maosa Just Pull An Emtee? Tis the season of giving and our local celebs are the gift that keeps on giving even when it’s unnecessary. 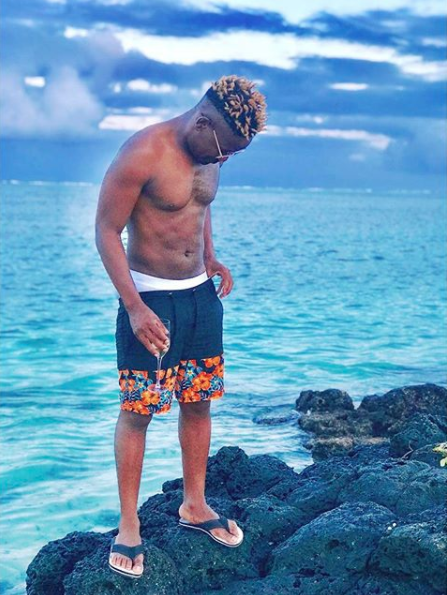 The Skeem Saam actor could not be outdone by rapper Emtee taking to Instagram stories posting a racy photo of himself completely stripped down covered in nothing but an emoji.